The Foreman project is lucky to receive sponsorship to support the work we do from a number of organizations. If you’re interested in donating hardware to Foreman, please contact the Development forum. Thank you to Rackspace, who provide infrastructure on Rackspace Cloud to power our continuous integration system and automated testing. Thank you to Red Hat, who provide servers for our RPM build system and staffs developers to work on Foreman and its plugins full-time. Thank you to oVirt, who provide servers for our continuous integration system. Thank you to Scaleway, who provide ARM servers for building our arm packages. Thank you to NETWAYS, who provide servers for our continuous integration system. Thank you to JetBrains, who provide licenses for Rubymine/IntelliJ IDE. Thank you to ATIX, for their many ongoing contributions to the codebase. 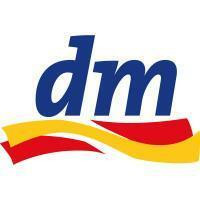 Thank you to dm, for their many ongoing contributions to the codebase. Thank you to Positive Internet, who provided servers for our continuous integration system, and who use and rely on only open source software. Thank you to DataCentred, who provided ARM64 cloud servers for our package build system. Thank you to Brandorr Group, who provided servers for our website, continuous integration system and build system. Thank you to Kentucky WiMax, who provided servers for our continuous integration system. Thank you to Enrico, who provided ARM and ARM64 could servers for our package build system. Thank you to Stephen, who provided a server for our continuous integration system.